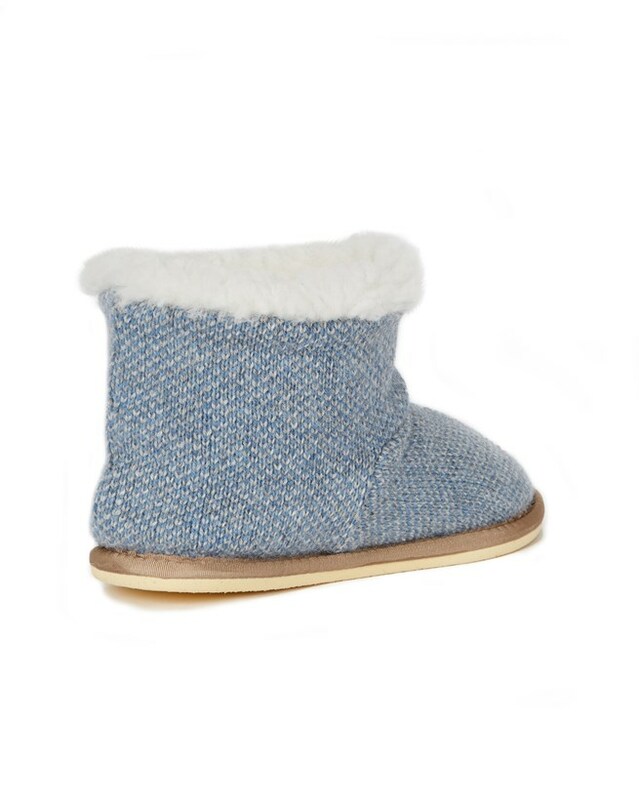 Fine lambswool and soft sheepskin combine in these Cornish-made slippers. 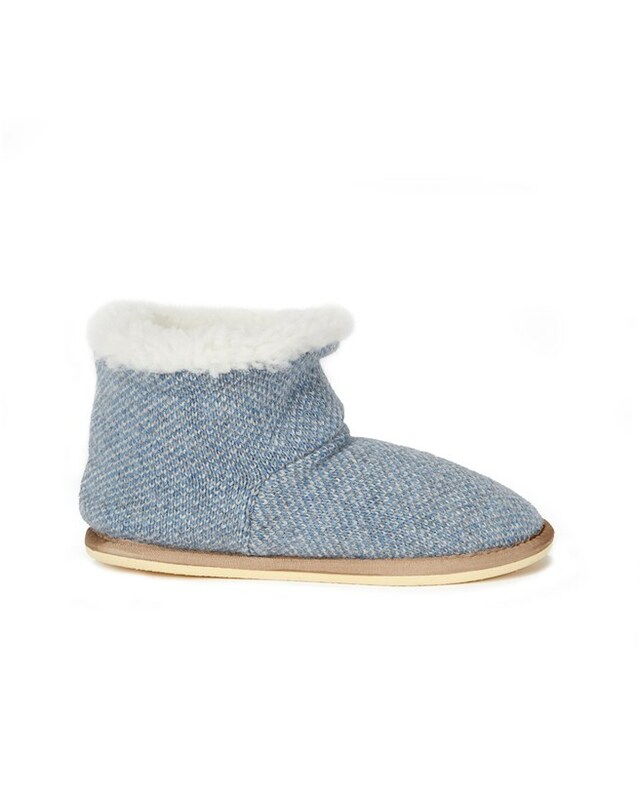 Try these shorties for extra warmth, or as an alternative the mules for an effortless slip-on style. Both feature lightweight yet durable soles. Bought these bootees a couple of months ago and have just started to wear them regularly, and they've well and truly come into their own! 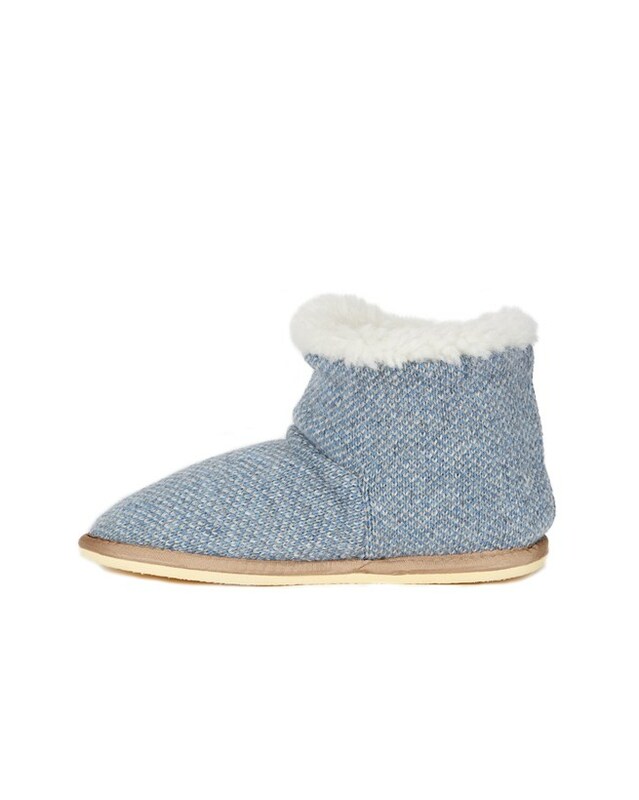 I have chronically cold feet, and wear sheepskin slippers or mules (I have a large rotating collection of varying types/vintages) virtually all the time round the house. These all have the traditional firm leather outer, and relatively stiff soles, and are all suitable for routine domestic activities. 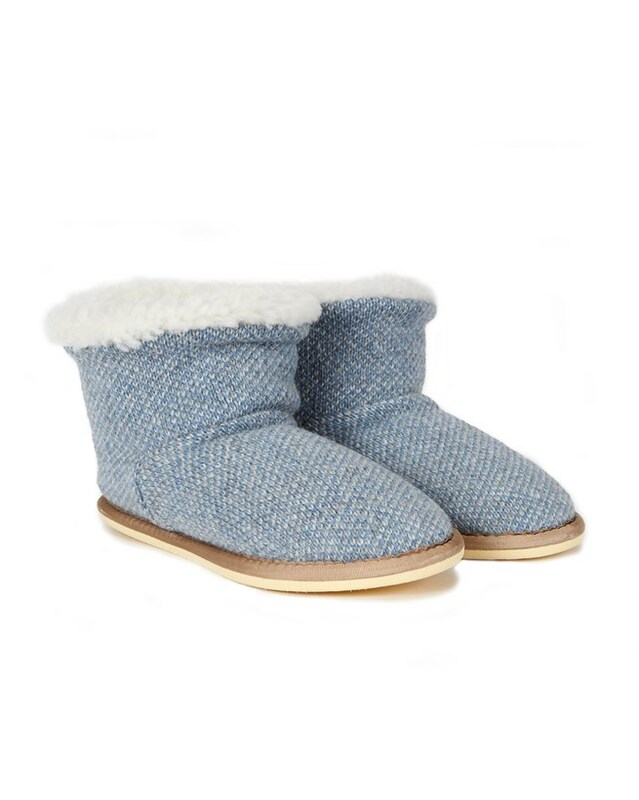 However, the new bootees, with the knitted outer, and lighter sole, are MUCH softer, and lovely to snuggle into when the day's work is done - a great relaxation aid (I call them my snuggle boots). They look pretty, too. Highly recommended! Bought a pair for my partner as part of her xmas gifts,Think she will love them as look warm and well made.